Well, 2019 has certainly started off with a a “bang” or is that a “bust” (more on that in a bit) for those of us in the aerial film & video business relying on drones. 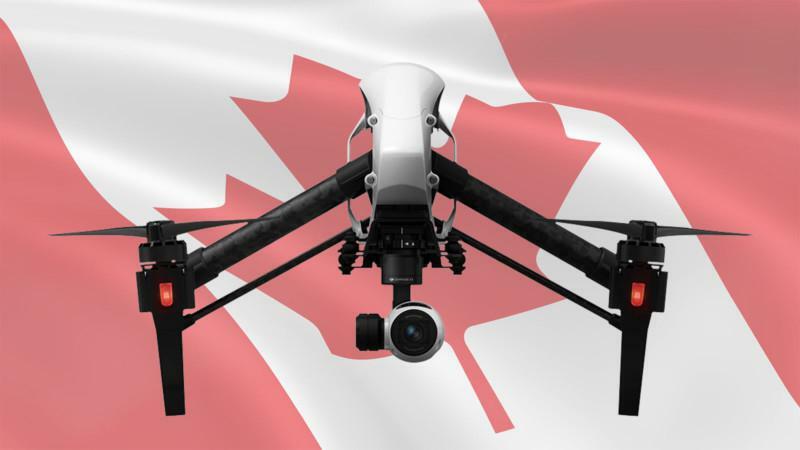 On Jan 9th, 2019, Transport Canada officially issued the long awaited regulatory revisions for the use of drones (now officially referred to as RPAS – Remotely Piloted Aircraft Systems) in Canada. The new regulations substantially change how the use of drones will be regulated going forward and there are a lot of great changes and new requirements being introduced that will make the use of drones easier and safer. But, as with any change, there are elements that don’t make a whole lot of sense (at least initially) or will have major impact to the industry. To view the new regulations in their entirety as published by Transport Canada in the Canada Gazette CLICK HERE. 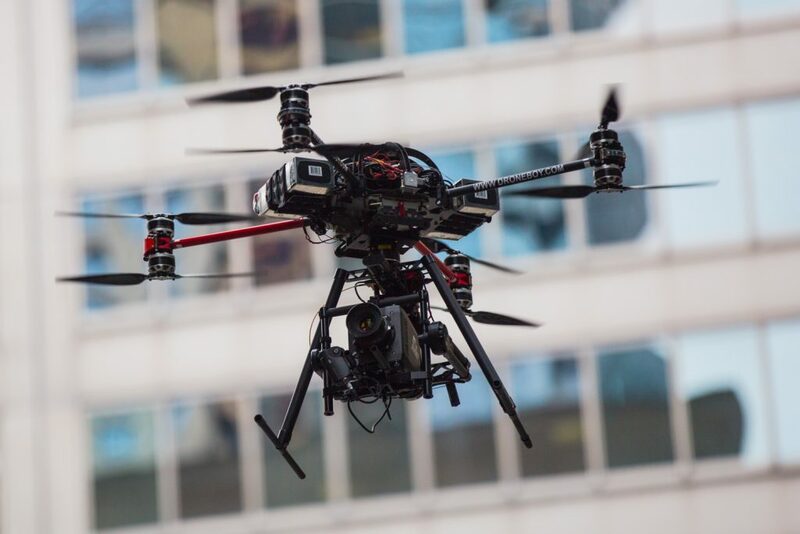 Our objective in this blog is to focus on the impact of the new regs with respect to aerial services to the TV/Film and Commercials business. The new regs only take effect June 1, 2019, so there is a 6 month period for drone operators to update their operating procedures and equipment in order to be in compliance. One of the big changes is the distinction between recreational and commercial drone operator has been removed. That’s right, if you treat yourself to one of these amazing pieces of technology, everyone now has a whole new set of requirements to comply with. Even the entry level user! Instead of Standing S.F.O.C.’s, Transport Canada has now implemented a licensing requirement. In addition to all drones having to be registered with Transport Canada, anyone flying a drone will have to pass either a Basic exam or an Advanced exam in order to legally fly (yup, even if you just fly for fun). Advanced requires completing not only a written test but also a practical 1 hr flight test with an examiner. Now that many locations will fall into the advanced category this means that when you are looking to hire a drone operator, rather than asking whether they have their Standing S.F.O.C., you will now instead need to satisfy yourself that they have their advanced drone certificate. The good news is that advanced operators will be able to fly in cities, over building, even over roads, as well as be able to fly closer than 30m to people. So you say, this all sounds OK, what is this “bust” component? Well now that you appreciate some of the changes and the distinction between basic and advanced, here is the thing, in order to fly an advanced operation, drone operators will need to have a drone that has been certified as being “SAFE”. The problem is, NONE of the drones we, or for that matter, any drone service provider uses for the TV/Film and Commercial industry has been certified as SAFE. While there are a number of drones that have been grandfathered as being compliant, none of them is capable of performing the way we need them too or carry the camera gear that is required to get your shot. None of them for example is capable of lifting a 20 lbs payload consisting of the gimbal, lens, transmitters, batteries, etc.. not to mention your Arri Mini or RED. To clarify further, not even the trusted DJI Inspire 2 which has proven itself to be a fantastic unit for the industry is currently deemed “SAFE”. For a drone to be certified as “SAFE”, the manufacturer must go through a stringent process and demonstrate to Transport Canada that their drone meets all the requirements layed out by Transport Canada. Here in lies another problem, Transport Canada has yet to publish those requirements and so manufacturers at this point have no idea what they will need to do in order to get the “SAFE” certification for their drone(s). A further challenge will be that there are various levels of “SAFE” which in turn determines if that particular drone can fly in controlled airspace, or closer than 30m to people, or even over people. So what this means is, given where things stand at the moment, neither DroneBoy nor any other professional drone operator you may have worked with in the past will be able to provide aerial camera services to the Film/TV and Commercial industry using the equipment everyone has used in the past. Yes, at least as things stand now, this effectively shuts down the opportunity for you to get those amazing aerial shots that you and your clients all love so much. Don’t forget this applies to recreational flyers as well, so if you want to fly a drone for fun in an area that is considered an advanced location, you can only do so with a “SAFE” certified drone. This is still early days and so we are sincerely hoping that manufacturers, once they get the requirements, will be able to quickly go through the process to get their drone certified as “SAFE”. This could lead to us having to replace our equipment with what I am sure will be sure much more expensive SAFE certified drones. Another way this could play out is that manufacturers are not able to complete the process my June 1 and hope that Transport Canada comes up with an interim solution (perhaps reinstate the Standing S.F.O.C.). 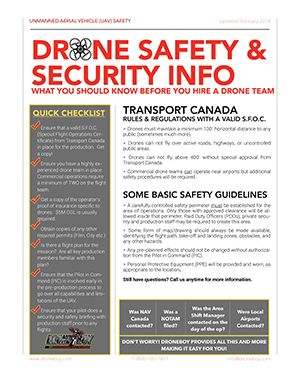 And finally, of course another way this could go is we hit June 1, there are no appropriate SAFE drones to carry the equipment required for the industry and Transport Canada sticks to the current regs in which case, professional drone service providers will no longer be able to get that amazing aerial perspective. As always, if you want to know more about how drone (excuse me, RPAS…) technology can be safely and legally implemented in your film project, or anywhere else for that matter, feel free to contact us at DroneBoy any time.